The European Commission’s numerous anti-trust cases over the years have had a significant impact on the functioning of the market affected by the practices in question. In Gazprom’s case, the outcome may be different – there is a danger that it will result in no effect at all. This op-ed was submitted by the Polish Oil and Gas Company (PGNiG). One of the main functions of the financial penalty imposed by the Commission for the violations of EU competition law is deterrence. If the Commission decides that a given case should be concluded with a prohibition decision with a fine, then it is up to the Commission to decide the level of fine needed to obtain the desired effect – with respect to both the company in question and other potential perpetrators. This is clearly recognised in the Commission’s fining guidelines. It is worth noting that the highest fine imposed by the Commission on one company in the past was one for abuse of dominant position. In the landmark case of Intel’s rebates, the Commission decided that the American company will have to pay over €1 billion of fine. In another case, Microsoft was fined with almost €500 million for abuse of dominant position by refusing to supply interoperability information and tying its products. Both of the cases spurred fierce discussion, as the practices in question were not evidently anti-competitive from both a legal and economic point of view. The decision in the Microsoft case was eventually upheld by the EU courts, while the Intel case is still pending (the Commission has won in first instance). In the gas sector, the Commission has avoided imposing fines by applying a very strict approach when it comes to the commitment decisions issued. The Commission has pushed companies from Italy (ENI), France (GdF), and Germany (RWE, E.On) to radically change their way of doing business. In two of the cases mentioned above – ENI and RWE – companies had to not only alter their well-established and long-time business practices (by reducing long-term capacity bookings on pipelines and entry points), but also to actually divest part of their assets. These radical deals were widely discussed at the time of the adoption of the decisions. However, the decisions allowed to create competitive gas markets in Italy, France, and Germany, which in the case of the latter allowed for an early termination of the E.On decision. In Gazprom’s case, the Commission follows the established path concerning the gas sector despite having solid ground to adopt a prohibition decision with a fine. 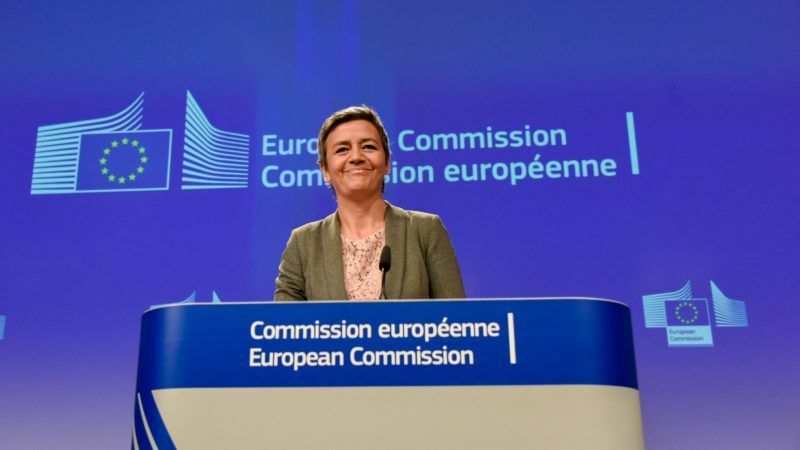 However, one would expect that since the commission decided not to impose fines, it would require far-reaching commitments which would fully address competition infringements. But contrary to these expectations, the Commission agreed on commitments that don’t prevent Gazprom from both imposing excessive prices and segmenting the market. Gazprom’s practice of tying the infrastructure and trade issues was, without any particular reason, not addressed at all in respect to Poland. This lenient approach towards the Russian company is striking, especially when one compares it with past decisions concerning American, German, French, or Italian undertakings. The Commission knows very well that the antitrust is not the only challenge it must face when it comes to relations with Gazprom. The Commission is about to start negotiations concerning the legal framework for the Nord Stream 2 project, strongly pursued by the Russian company and not supported by any EU member state, with growing opposition from Central European countries. The long-lasting struggle between the EU and Russia in the WTO on the 3rd Energy Package is nowhere close to an end. Finally, the Commission’s decision from 2016 allowing Gazprom to have a monopoly over the OPAL pipeline was effectively stopped by the EU Court of Justice. Struggling with Gazprom and/or the Russian Federation on so many fronts requires the Commission to be well-coordinated and have a clear long-term policy towards the Russian challenge. There is no room for inconsistencies between various DG’s and for vulnerability to Russian lobbying. Russia will inevitably be present on the European market for long decades to come, as will Algeria, Norway and the Middle East countries. However, no other company except Gazprom is challenging the EU market and competition rules, as well as the energy law system itself. It would, of course, be easiest for Gazprom if the terms of cooperation were established on the political level. Nevertheless, the strength of the EU market comes from the strict enforcement of the acquis. This must be the case also with respect to Gazprom. The OPAL case shows that if EU law is applied to the letter, the market will protect itself. If the EU rules are bypassed – this results in monopoly. It is obvious that the Commission is in strong need of political, market, and energy stakeholders’ support if it is to stand against Gazprom’s policy aimed at dominating the Central European energy market. The energy undertakings did their share by broadly contributing to the Commission’s market test with a variety of in-depth proposals on how to prevent Gazprom from abusing its dominant position. So did the member states and national regulatory authorities, which gave their full support for the Commission to introduce all possible measures designed to protect competition and the internal energy market. It is now time for the Commission to take advantage of this unprecedented support and put constraints on the growing Russian reluctance to treat EU competition and energy law seriously. The text of PGNiG’s reply to the market test can be found here.